The Blaze Your Trail Book originated as a supplemental insight into life at Salesforce for award applications. It later grew into a coveted Employee Success annual product found in Salesforce office lobbies across the world. 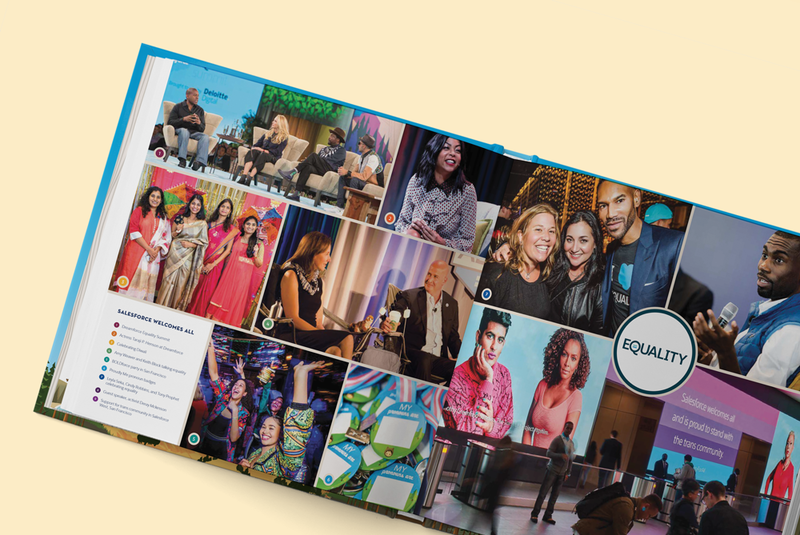 In 2017, I designed the beginning and end sections, as well as the Equality Team and internal event spreads.